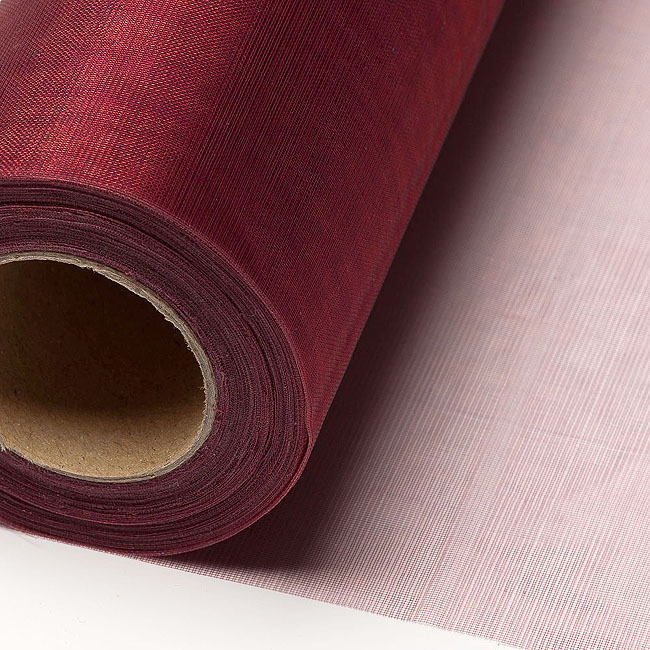 Shimmering Bottle Burgundy Organza on a roll that drapes beautifully. Versatile and so easy to use in venue dressing. Adds impact to banqueting tables, wedding arches, pew ends, floral and balloon décor .Also looks great tied around your venue chairs.